The above points involve knowing happiness. The next component of wellbeing is doing happiness. Happiness is being comfortable in our own mind. 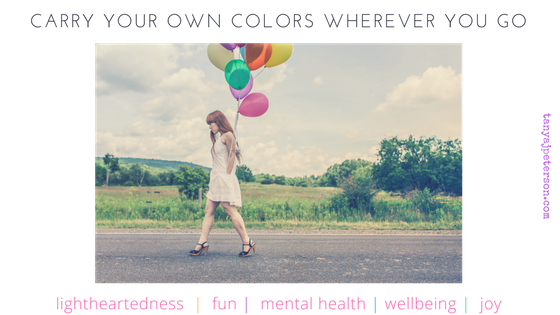 It’s knowing our strengths, passions, and purpose—together, our unique colors—and drawing on them in some way every day to live the quality life we envision even though life and people are messy and flawed. “Pick yourself up, dust yourself off, and start all over again.” (Captain Kangaroo as quoted in Break Free: Acceptance and Commitment Therapy in 3 Steps) We fall down, but we don’t have to stay down. A key to happiness is knowing why you want to get back up. Once you know your why, you can create an action plan. Live mindfully in each moment. In times of peace, calm, and joy, keeping your attention on the present lets you savor it and be deeply happy in that moment. In times of trouble, being mindful of what’s around you right now anchors you. It helps pull your thoughts and emotions out of your head to focus on the here-and-now. Living in the present rather than in your head is part of doing and being happy. Connect with others. Share your colorful balloons. It can be as simple as holding a door or as involved as volunteering your talents and your passion. Be who you are, your authentic self. Rather than worrying about what color or style your balloons “should” be, embrace them. Share them. Make babies laugh with them. Give adults something to smile about. Most of all, enjoy them for what the are: your own inner authentic happiness. Create your world in living color, and enjoy the ride. 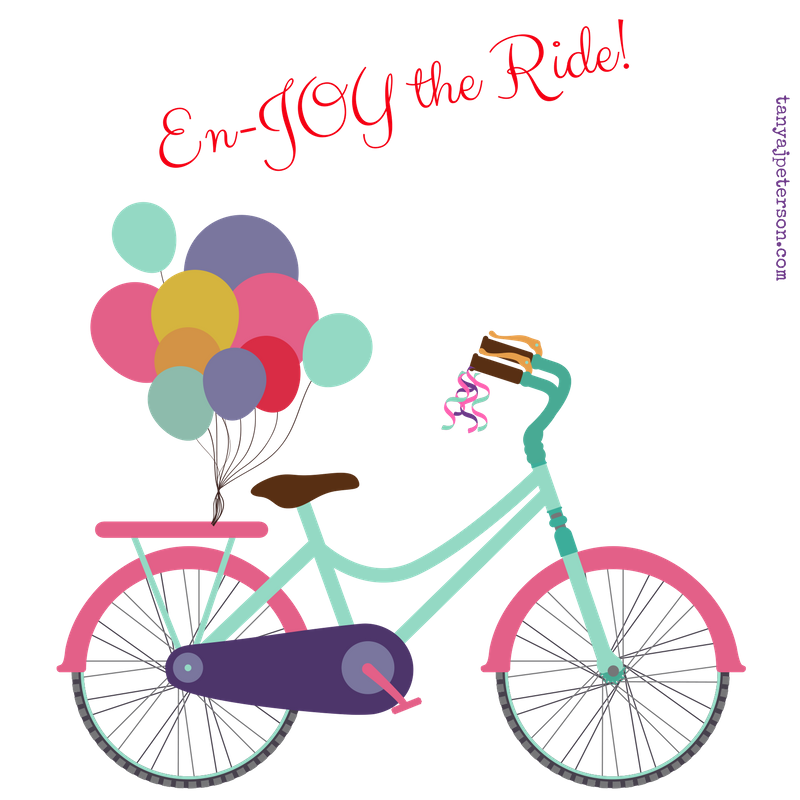 Because life is a ride, and en-JOY is an action verb.